Thank you to Kevin Callahan of the Courier Post for publishing one of my images from the McGuire Mud Run on the courierpostonline blog. 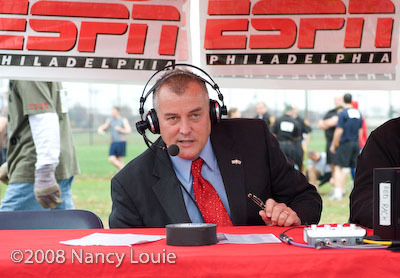 Also thanks to ESPN and Don Tollefson for covering the event. I’m a sucker for certain types of marketing that benefits my business. I’ve added a category since I will mention my spottings on this blog. Be advised that the offers are time delimited. As you would do with old paper coupons, read the fine print. Are you a flickr member? As online communities connect more and more, they are partnering with others. Cross selling is as old as the hills, but online partnering is soooooo hot. Leave what those do best up to them. Currently, if you’ve got a membership at Flickr, there’s a $10. off code (holidayflickr) for using your Flickr images by Dec. 5 to make up your own book at Blurb. You can “slurp” your images right from your flickr account into a book template. Blurb also partners with SmugMug and Picasa if you live there too. There’s even a facebook yank from a group. It’s gift giving season so the promo makes sense. Might not be a bad way to reward some of your favorite models too. Customization occurs with content. You can also upload images right from your hard drive. Hmmm, must let my writer friends know that blogs are supported to pull content. Not all photographers are designers nor are all designers photographers. There is a close link to both as many cross over the line. Both are visual businesses. Similar skill sets show up in both to varying degees. However, Blurb makes it fairly easy to insert images into their templates if you’re a photographer who wonders what exactly designers do. A pro designer has already made it bulletproof for you to have a professionally looking end product. You need to download their BookSmart software for compositing your book. It’s pretty easy. Works for both Mac and PC. I’ve used it and it doesn’t look Home Depot ad awkward in the layout. One of the more challenging things about using Nikon speedlights is that there are few buttons. 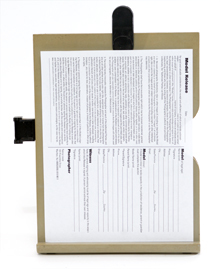 It does streamline the unit and keep it smaller. Can you imagine if there were a zillion buttons on a huge hulking panel on your speedlight? With fewer buttons, you do end up with pushing them in sequences. It’s like those $7 digital watches with two buttons for setting 25 functions. They are benevolent to give you a 2 inch piece of paper with 4 point type to explain with icons? You’ll figure it out eventually. Or not! There is a modeling button on the back just where the neck of the speedlight bends. It makes a nice buzzing sound that makes one think that there’s something wrong with the unit. With more and more shooters shooting digital today, it’s just easier to do test shots and chimp to see where those bad shadows find their way into the scene. Ah, but those little red buttons can help you! Nikon put that little red test flash button on the back of their speedlights and also on the back of the SU800 Commander unit (technically, orange button). The button allows you to “test” to see if the unit is working. I use it after I load batteries into a speedlight and want to see if I’ve loaded them correctly. Exempt the SU800 because there is no light in it since it’s just a control unit. But then… you FORGOT which one you set up in which group? If you’re controlling them with a master on board speedlight or an SU800 controller it’s easy. Ask them to tell you the group you assigned to them! Press that test flash button on the back! Presto, BA DA BING. They will fire in sequence of the group you assigned to them. A, B, C. Right in sweet orderly little solos. Ba Da Bing, we sing. Take notes! You tested them for opera singing, no? Tony Soprano would be very proud, and he doesn’t sing opera. 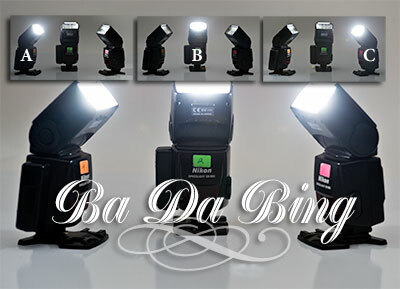 Actually, Bada Bing was added to the 2003 Oxford English Dictionary due to it becoming such a popular colloquial phrase to mean: an exclamation to emphasize that something will happen “effortlessly and predictably.” One push of your test button and mystery solved effortlessly. It’s also good to test them before you start shooting to make sure they are communicating properly. That’s what I tell people instead of letting them know that I have absentmindedly forgotten the speedlight group assignment arrangement. Watch them sing when you press the button. If your models question why you’re muttering, “Ba Da Bing,” tell ’em nan from Jersey sent ya. Woo. Ritz Camera joins in the fray with retailers offering mega discount sales on Black Friday. SanDisk Extreme III 4 GB SD or CF memory cards. $60. USD for 3 cards- After SanDisk Mail-In rebate = FREE. When you buy 3. If you don’t need the speed, go for it. Starts Friday 6AM, all stores. Specifics probably apply to your location. I don’t know if this applies to Ritz online or not. I use mnemonics all the time. Since I’m a busy person, it really helps. Mnemonics are a way of improving your memory through association. It’s like meeting Mr. White and he happens to be Caucasian. LOL, it wouldn’t work for Mr. Green, but I’d use another mnemonic for him! Good sales people use mnemonics for recall of peoples’ names. If you are a positive thinker, you’d be thinking UP before DOWN right? Who wants to be down all the time to start? In writing, I don’t think I’ve ever seen down used before up in phraseology. A seesaw goes up and down. What must go up, must come down. Even Blood Sweat and Tears thought like that. If you’re loading up a speedlight, you are putting AA batteries into the battery chamber unless you’re using a battery pack. Even so, some of the battery packs use AA size batteries. The Nikon SD-8A does, but I’m not using one. If you are using this pack, let me know about the sequence on it. The newer SD-9 is a 4 or 8 battery array. So, if you haven’t noticed, an SB800 and SB900 battery loading chamber has diagrams for correct positioning of the terminal ends. I don’t need to look at them. 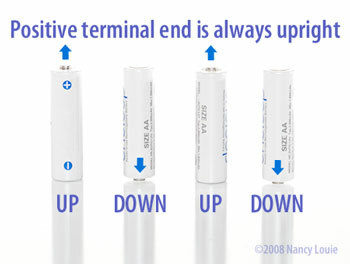 They always start with UP, so the sequence goes up, down, up, down and the positive end of the battery is always UP to start. It’s got the nub on the top, you can feel it without looking. Hold the speedlight with the top (lens end) of the speedlight upward. First battery is positive end UP and the sequence follows. UP, DOWN, UP, DOWN. You should be able to load your batteries blindfolded. Repeat the battery mantra. Mnemonics. Up, down, up, down. Think positive first and foremost. Why do I collect what appears to be worn and useless sometimes? Shades of Peignot and Copperplate Gothic fonts. 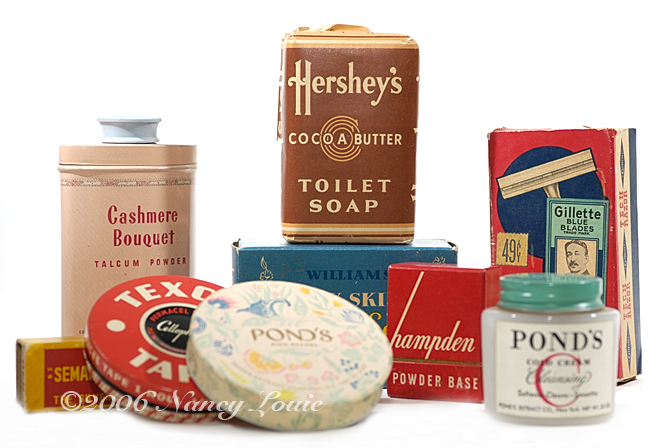 In the case of these products you see, I’m sure not going to use the 60 year old content of them. I liked the fonts and colors! I’ve had them for a couple of years now and like to fondle my fonts. I sometimes miss designing as much as I used to because it gave me other venues for creativity and I was a font whore for years. I used to be able to name them all off the top of my head, but I’m now overwhelmed. Must have been those 3 years of typography in art school that led to the addiction. Font collections have split the seams since the development of computers. Gone are the days of Chartpak and Letraset rub down press type. Veer constantly expands their collection at an alarming rate. Smaller foundries have sprung up like bunnies reproducing. Old familiar faces have gotten a twist and new names. WTF? I’m an illustrator or photographer, why bother? As digital evolves, the designer can also be a photographer—think hybrid. The ties of illustration and photography are more closely related to design than one would think. Illustration and photography have always been integral components and compliments to any design. Are you a supplier of either? Are you single discipline and wondering what the fuss is about? Why is Cingular’s logo orange? Color forecasting is done across the board in all industries. The Color Marketing Group or CMG is a non-profit consortium that has done international forecasting for years. Those avocado fridges and harvest gold ovens were no accident. Neither was the use of cranberry and aqua in designs of the 70’s. Gag me on seafoam green and salmon in the 80’s. Have a glance at bridesmaids’ dresses in a wedding photographed years ago in a certain era. It was all part of a master plot dictated by some think tank getting together to push consumers to “update their look” and spend money. Your sheets don’t match your paint scheme in your bedroom? Shame on you. The advertising of these products goes hand in hand with this henceforth, it’s going to affect design collateral in print and Web depictions and it’s cyclical. I also credit Dover Publications clip art for jumping on the illustrations as they became available that were released into the public domain for use by designers. Baby boomers are middle-aged now and they are the ones with more disposable income once the kids leave the nest. They are one of the largest demographic of buying audiences at present. Retro appeals to them since they lived it. Kids today are excited about Led Zepplin? It’s even prevalent in music. Halcyon days from the past have an emotional appeal because we all have our maudlin moments in the tempest of today. Recycle but reinvent. Study the colors used from an era. Why has that cross processed look seeped into photography? I spotted it on a Weather Channel commercial and that’s pretty tame mainstream. Printing has also evolved as well as methods of reproducting certain dye lots used in fabric. We have access to a color palette in reproduction that was not available in the past due to the technological limitations. If you’re shooting stock, you should pay attention to all of this stuff while you plot the next new lens that’s supposed to improve your photography. Stock is used by designers. Hello! When a simple sepia tint or b/w change in Photoshop won’t do it, color may. Juxtapose in a shot and make it obvious. If you studied art history, certain poses by models authenticate an era in painting as painters snubbed the classical way of doing things. Certain poses in illustration are evident from the 20’s with stylistic proportions in the human figure exaggerated. Authentication isn’t always primary, but a look and feel can sell and still look contemporary. Look around and keep your eyes open. All trends have their day. Break a few rules on the way and do it differently. Chances are that someone is already doing that so you don’t want to be on the tail end of a trend that’s on its way out. It’s harder to start one than follow. Adopt an era and make it yours in today’s world. Duct tape has many merits, but sometimes you need more finesse. Do you shoot objects or still life now and then? Often, we are working alone when we choose to do this kind of shooting. How do you get the object to cooperate and stay in place? I use all kinds of things to help. I’m fond of found materials so I use what I can find. It’s not unusual for me to use something that was not originally designed to do the task. There’s plenty of stuff around to do double duty and it doesn’t cost a small fortune. You probably tried taping something to your background to find that doesn’t work very well. 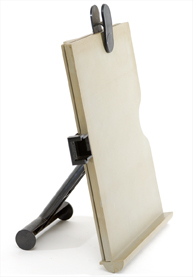 I have an old stand that was designed to be used to hold your paper when you keystroke. It works really well for shooting flat things. You just need to be careful in tilting it too much since that can create perspective distortion. It works well for holding small objects. It’s free standing. 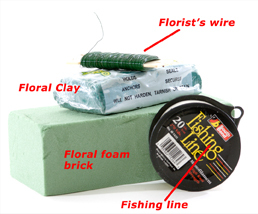 There’s also florist’s clay and styrofoam blocks that can help you out. You can stick a popsicle stick in it to prop something upright. Next, I rely on adhesives. Magic Tape that can be stuck on the back of something but removed later without a trace. Many of the craft stores also carry this sticky stuff that looks like small white blocks. You can use that to adhere something to itself, a backdrop or preventing an object from rolling. How many times have you shot something and it rolled off the table? Eh? Last but not least is florist’s green wire. It’s easy to wrap around something and stays in its place afterward. I also like to use fishing line to hang things or attach. Easier to Photoshop out after I’m done. 10 lb. test works good. 20 lb. test is what’s shown in the photo. 10 lb. test works fine in most cases. Shooting static objects often requires good composition skills. Once you set something up, you don’t want it to shift out of position. I use a tripod when I shoot objects, but they will slip out of place the minute I return to look through the viewfinder. Murphy’s Law. Keep your eyes open and think out of the box. You may have items around your house to put to good use beyond their original use.